It's "Grill Time". Here is a great gift for Father's Day or just to show day you love him. 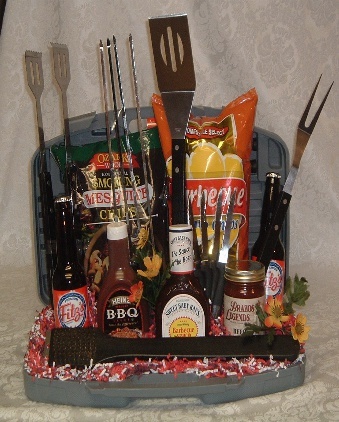 Set includes a complete B-B-Q set of grilling tools, several different sauses, grilling rub, bag of mesquite wood chips, a B-B-Q cook book, bag of potato chips and 2 rootbeers.